We had reported about the PlayStation phone which is said to be the flagship product of Sony and a strong competitor for the iPhone. Today we have a video! The new video shows a device that looks quite similar to what was rumored on the net previously. The phone’s display shows that the video was taken on December 2, so its quite recent. The phone seems to be a model that is codenamed “zeus”. It also seems to be running the Android OS “Gingerbread” version of the software. 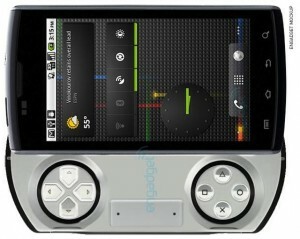 The device also has a PlayStation icon which lets us believe that it can interface with your PS3. Speculation is that the phone would feature a 1GHz Qualcomm MSM8655 processor with 512 MB of RAM and 1GB of ROM. It has a screen size of about 4 inches. A French website has talked about the phone coming out this December 9th, but Sony has said in an interview with the Wall Street Journal that the phone might be out in February. Previous One Million Nook Colors by Year End! Next Google’s First Android 2.3 phone is out!